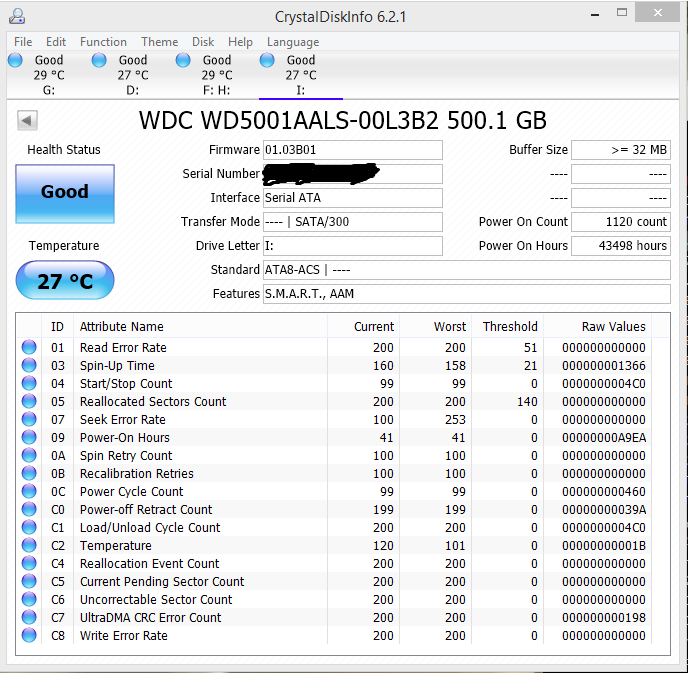 I have had great success with WD drives. Thumbs up for the idea, I hope the thread will be populated with some cool photos. I was almost sure that we had a thread like this, but I couldn't find it. 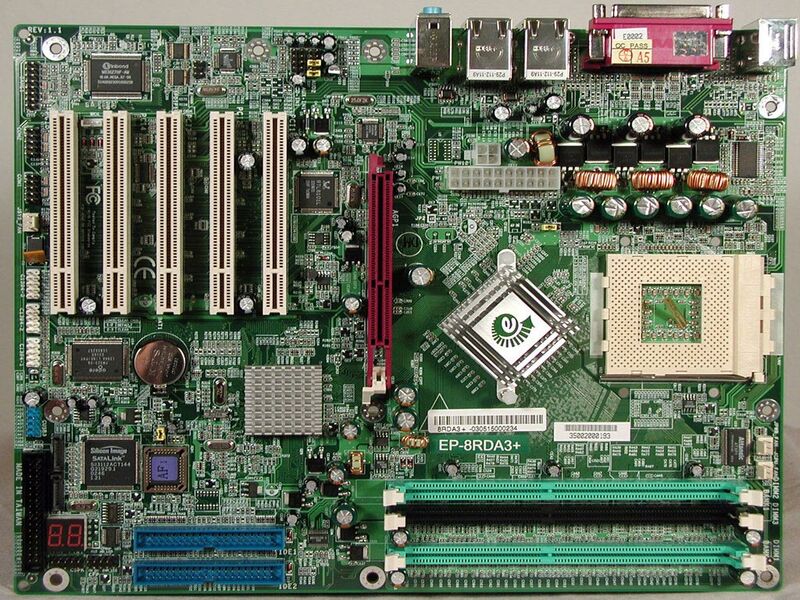 As you can read from the board itself, it is an MSI K8T Neo, a Socket 754 motherboard with the VIA K8T800 Chipset and it's paired with an AMD Athlon64 3000+. Both belong to the earliest era of 64-bit desktop computing. The CPU belongs to the AMD's most glorious hour (so far), first generation of 64-bit PC processors and also the first with the integrated memory controller. Likewise, the chipset was, according to some sources, the first finished chipset for those CPUs (yes, most early demonstrations were done with early versions of nForce 3, back when Nvidia made AMD chipsets, but nForce 3 was supposedly still "in beta" when VIA came out with their K8T800). The southbridge was also one of the earlier with SATA support. Obviously, a lot has changed, AMD is trying to catch up with Intel, they are no longer on speaking terms with Nvidia and VIA is, unfortunately, no longer a household name. Also, you won't be finding electrolytic capacitors on any modern higher end motherboard, but more than 10 years later, these are still in good shape. Well, that's it from me, for now. What are you hiding in the attic and what do you generally do with long serving pieces of hardware once they outlive their usefulness? Well, I have my gaming pc till a couple of months ago, but I am going to give it to a cousin of mine so I am not going to photograph it. I do have one small piece of hardware I am keeping from the 90's, if I remember I will post a photo of it. Before that I really don't remember the motherboards. I had AMD systems prior to the Maximus Formula. They date back a long way (to me), before the AGP slot became popular. I do recall that my first (own) PC needed a better graphics card to play anything more demanding than C&C Red Alert. The funny thing is, my fiancée had a Socket A processor when I met her, which was when, I believe, I had my first i7. Lost a lot of stuff, but sure I can dig up something... Just not today. Was this the thread you are looking for? Wow, it was that recent?! I couldn't find it because I searched for the wrong terms. Although I did imagine that we had one with actual photos of the old stuff. Anyway, I can't even remember what my old configurations were like save the last 2 or 3 machines I had. As for saved up parts I have moved twice in the last 6 years so unfortunately I don't have any of them with me anymore as they were disposed of, but I did have a shelf in my computer room in my first apartment after I moved out that had a Quantam Fireball hard drive and a dated ATi graphics card on display. Yup, the two still seem to be welded together! I still have a few motherboards at home. An ePox 8RDA3+ for starters. This board was rock solid for overclocking.....all the way to 199Mhz FSB. As soon as you hit 200Mhz FSB or higher, it would just crap out and be the most unstable board ever. It didn't matter how much voltage you threw at the RAM and CPU, it just couldn't do it. For OCing my Barton xp2500+ I had at the time to *just* under Barton xp3200+ specs (because of the 200Mhz limitation), it was pretty awesome . Now, it just sits in a box in my closet. Next was my ABIT IC7-G MAX II. This board was a great board for all the years I had it running. I remember being one of the very few people ABLE to take my 3.2Ghz to a 1Ghz OC on air! 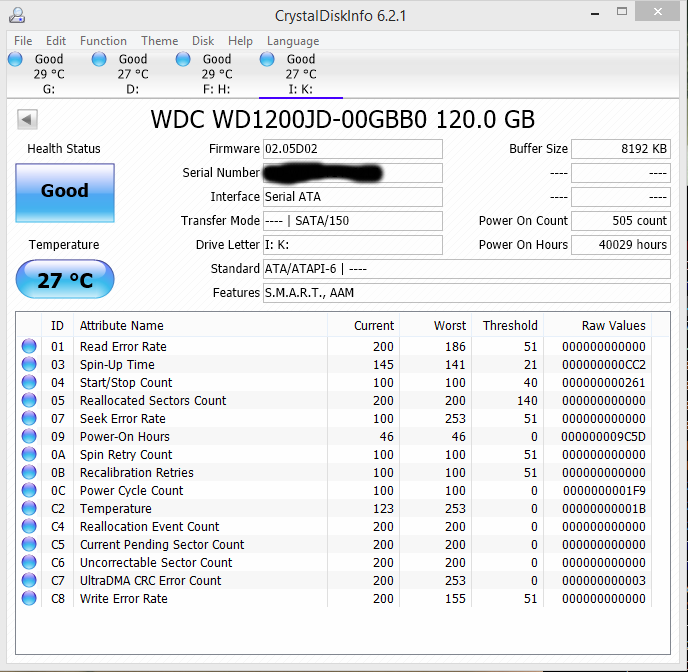 Thank you Thermalright SP-94 and 92mm Vantec Tornado . Sure, it was loud, but that was a sacrifice that needed to be made for speed. Unfortunately, the 1Ghz OC wasn't stable and would only go as far as booting into the OS. Anything as simple as running IE would cause the system to restart. It was rock solid at 800Mhz OC though . One thing that really annoyed me about this board was the NB fan. It was apparently a common problem though as many people complained about it. My solution to this problem was replacing the NB cooler entirely with the ThermalRight NB-1C. This board, paired up with my Corsair XMS 2-2-2-5 RAM, and NVIDIA 6800GT had me in the winner's circle of the DH's Overclocking competition back in the day. I remember having had that crown for a good while until RastaMonsta took it from me with his system sporting the same motherboard but the much better P4 EE. Afterwards, I just decided to retire my OCing competitiveness, getting an AGP version of the ATI x1950pro 2GB, and 2GB of OCZ Platinum. That RAM was HORRIBLE for overclocking. It couldn't do anything faster than 415Mhz without giving issues. The furthest I got it to was 433Mhz, and that was only boot stable. All these components I still have....also in a box....sitting in my closet. I have a few other boards, but they are primarily boards I've kept from my family members that decided to upgrade to new systems. My sisters for example, I built them both new systems a while ago. One had an older s939 4200+ AMD CPU and some other hardware. I kept that s939 board. IIRC, it's an MSI K8N Neo4. I just built it and maintained it. Nothing special here. 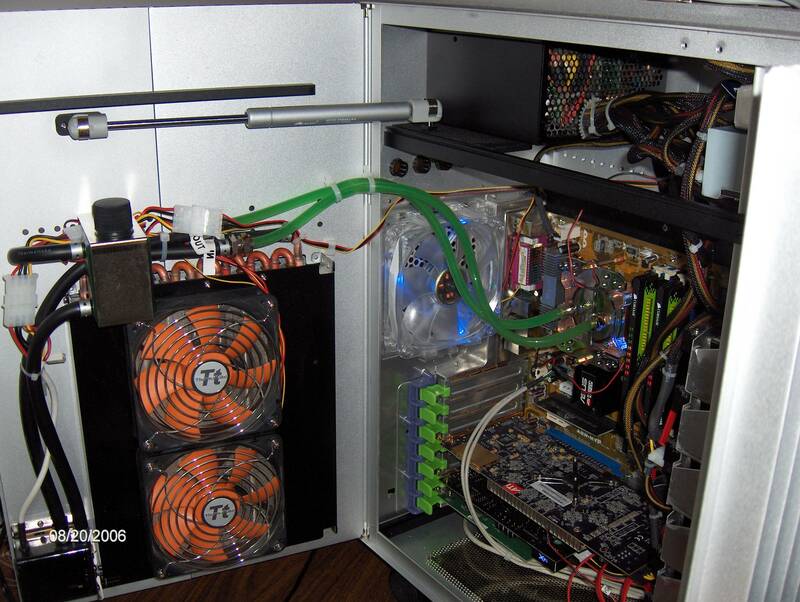 She has an AMD 900 series chipset board along with an FX-4300 CPU now. My younger sister, I have something of hers as well, I don't remember, lol. I just know that her current system has a s775 CPU with a Gigabyte p965 chipset board. I'm sure I have whatever board she had before in the same box sitting in my closet, lol. Eventually, I plan on framing all these motherboards and hanging them on a wall somewhere. I plan on having some RAM and a CPU installed on these boards when that time comes. That's quite a collection. I actually thought of hanging mine on the wall as well. BTW I did manage to pry the CPU off the heatsink with a knife. All my old stuff gets ebayed, due to very little room for storage. CDsDontBurn and IvanV like this. If I posted all my old hardware it would take several pages to get it all posted. I have some hardware dating back to 1992 here. BTW, I also had .... and it may still be in use...an, ABIT IC7. I passed it on to my daughter-in-law and it may still be in use by her. Does it count as old stuff when it's still in use, even though it's 20+ yo? I'd say that it very much does, I'd love to see such a piece! Oh. I forgot to mention that I found my ATI Radeon 8800 the other day when I sent out my ASUS motherboard for RMA. It was in a non-descript ant-static bag I put it in a long time ago. ZnMnSe and IvanV like this. That was a sweet rig! Was the cooling all custom built? What is that thing that looks like a little daughterboard card, just below the northbridge? The Tai-Chi case came with water cooling. The case provides a hydraulic opening for its side panel as well. The aluminum extrusion case keeps everything nice and cool. After a couple of CPU blocks cracking and problems with the radiator I pulled the water cooling and went back to air. I am using the same case with my main system today. I was thinking of putting water cooling back into the mix but instead went for the Cooler Master Hyper 212 EVO and it does a nice job of keeping the CPU nice and cool. FYI: The thing that looks like a daughter board card is called a MVP SWITCH CARD and was used when you only had a single PCIe graphics card installed. When installing two PCIe graphics card you removed the MVP SWITCH CARD.